Fire up those printers my friends! I highly recommend using a good quality card stock! 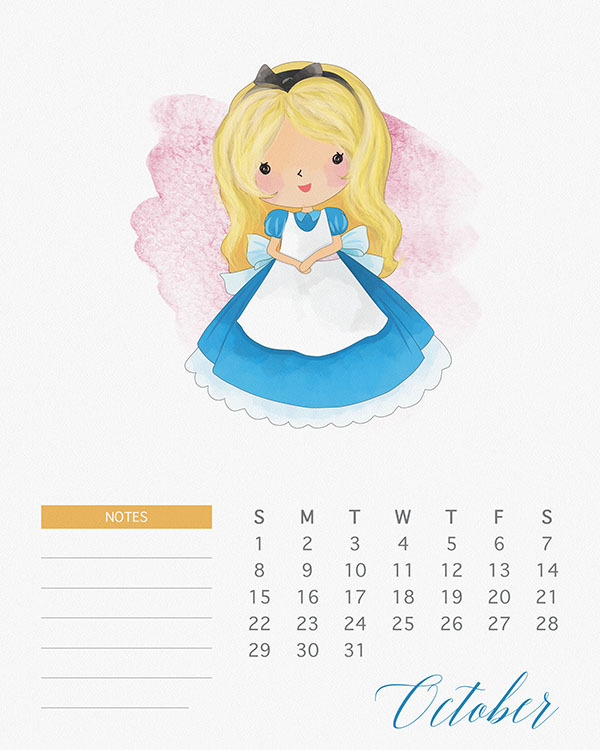 Print the whole calendar or print it by month…just enjoy and stay tuned for many more throughout the month! 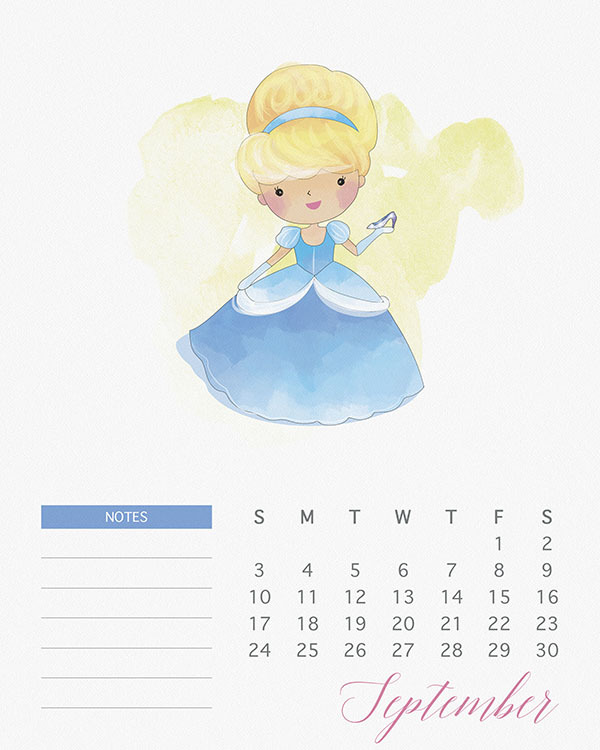 Thank you Andrea for the lovely princess calendar. I am sure my great granddaughter will just love it. 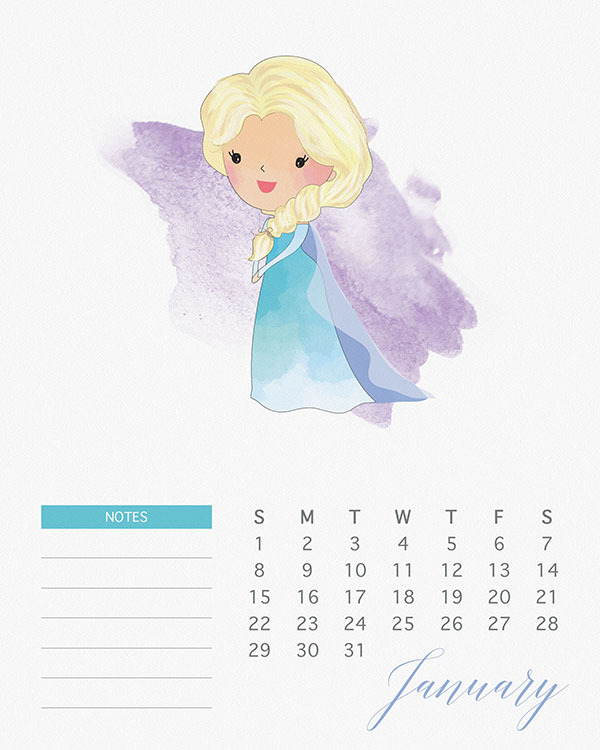 It is gorgeous and I especially love that you put notes on there…that is so perfect for her to jot journal her month there. Just love it. Again, thank you muches. Hello Andrea! This is superb! Thank you so much. I belong to a women’s group called PGT (Pushing and Growing Together). This January 1st, we will be having our Disney Princesses themed Christmas party. This is really what I wanted to give as a present. I so love this. Can’t wait to share with the other princesses. Happy holidays! I LOVE IT!!!! Never to grown up for Disney Princesses right!!! Thank you for sharing with me!!! 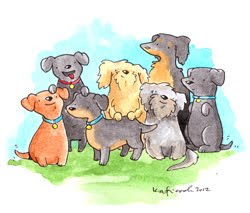 Here’s wishing you and your entire family and pets the BEST Holiday Season EVER!!!! Take care…HUGS! Thank you for this lovely calendar. I am about to create the notebook (Side: A5) for my friends (3 person), so I am not sure if I could include all off these calendar into the notebook that I am going to produce and give them as a gift. Not sure if it will breaking the right for personal use only. 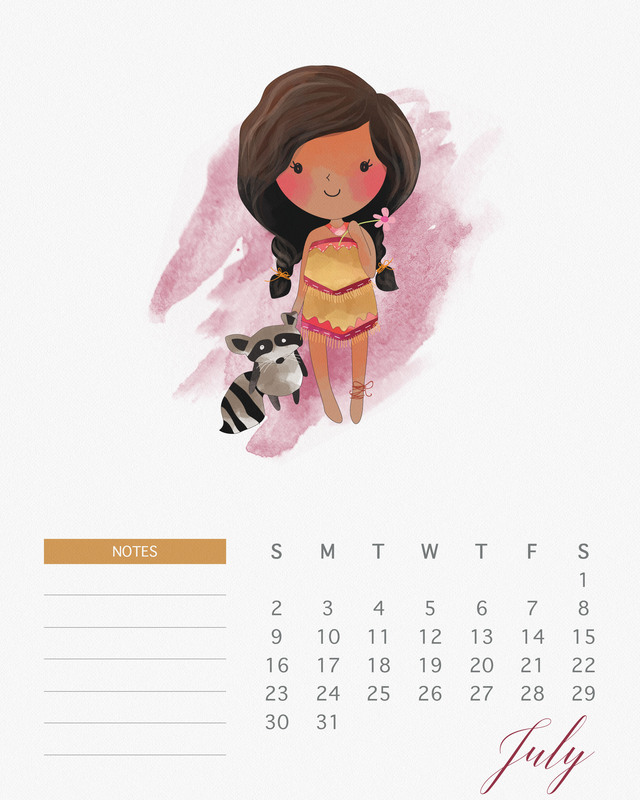 This is one of THE most loveliest calendar printables I have come across. Thank you so much for sharing these. How do I download without having to register with Winzip? Hi there Marit! 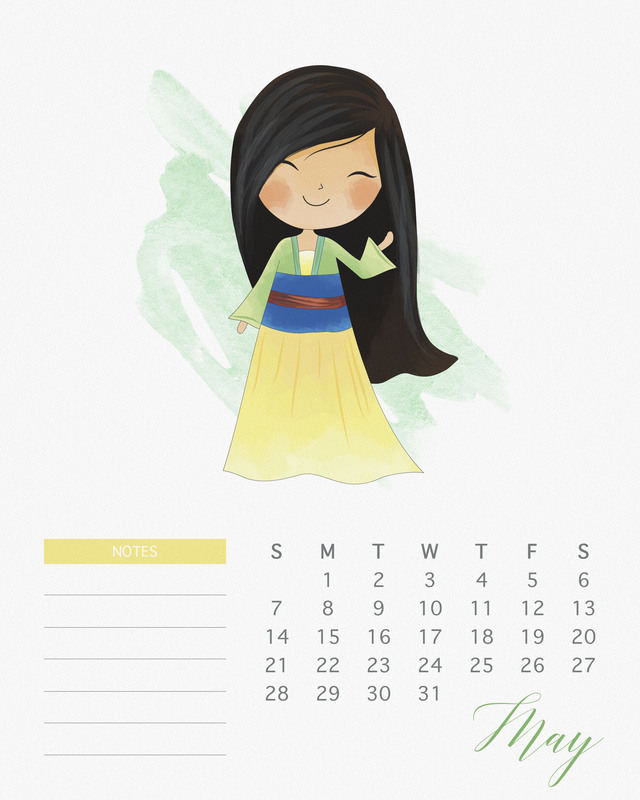 How are you : ) We offer two ways to download the calendar… first we have provided a zip file that has the entire calendar on it and then we give you each page and under it is a link…you click on it…”save as” and print : ) Hope that helps. 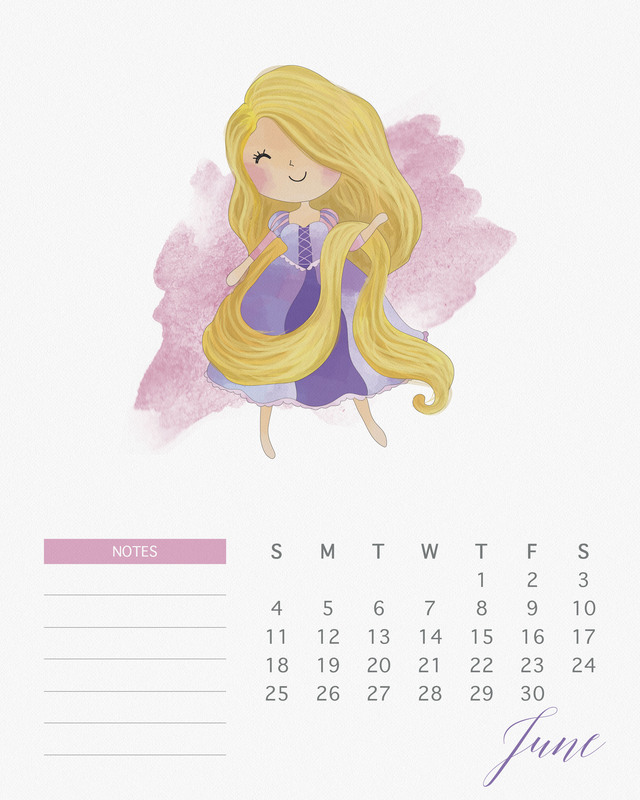 We wanted to provide both ways for those that wanted to print the entire calendar out at once and then for wanted it by month. If you have any other problems…just let us know : ) Take care and enjoy your Holiday Season…Hugs! Salyn! I am so happy that you and your daughter loved the calendar!!!! Thank her for letting me know how much she loved them and tell her that I LOVE those two too…especially Alice : ) I hope the calendar brings you a joyous year! Wishing you and your whole family the best Holiday Season ever! Hugs!!! Thank you so much! My niece will go crazy over this!! She is unwell over Christmas…and this will instantly make her day!!! Thank you! So Happy that your niece will love it!!! Love to hear something so little can make someone’s day : ) You take care now and here’s wishing you and yours the most Fabulous Holiday Season! Hugs!!! Thank you! This is a Great last minute gift here! This is so adorable! I can’t wait to print and start using it in a few days! 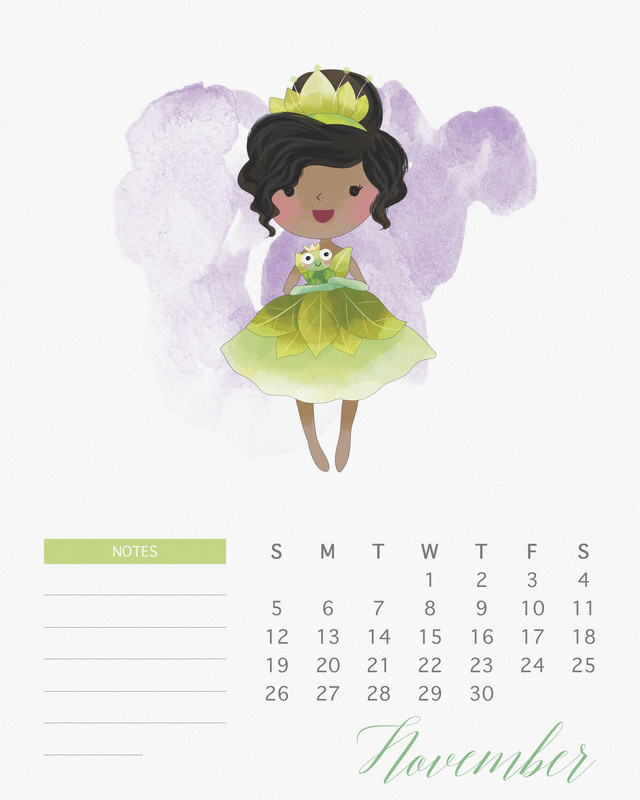 I liked it so much I added it to my list of monthly pixie dust printables for 2017 on my blog I hope you don’t mind!! thank you, i love this! my home planner is going to rock!!!! Thank you for sharing these beautiful artworks of yours. I LOVE it . I will display these in my tutoring classroom…and I bet my girl students will LOVE them too. Again thank you. 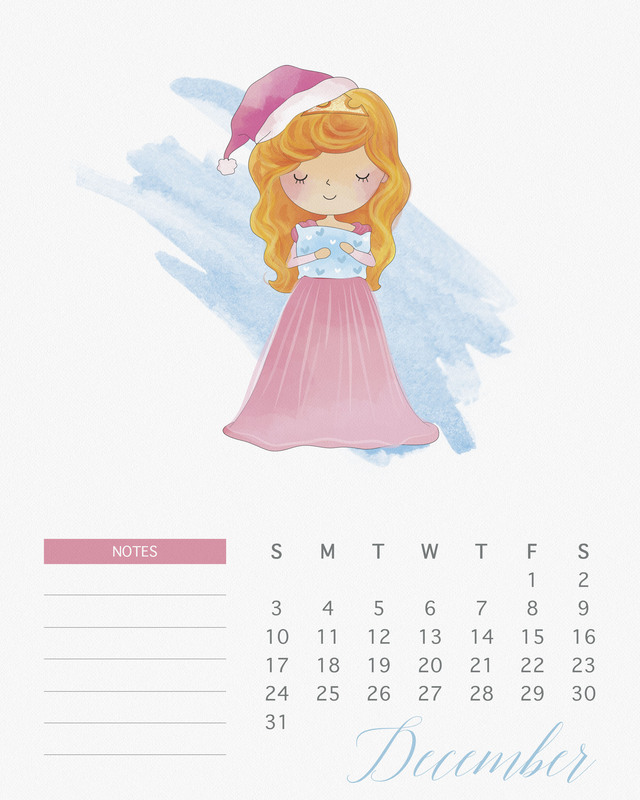 Hello and thank you for sharing this lovely calendar! I hope you don’t mind I have shared it on my blog today. Thank you so much for sharing your time and talent with the world. Your artwork is beautiful and my granddaughters, who are 4 and 5 years old, are going to love their calendars! Hi Andrea, hello from Malaysia! Thanks for sharing this calendar! They are lovely. 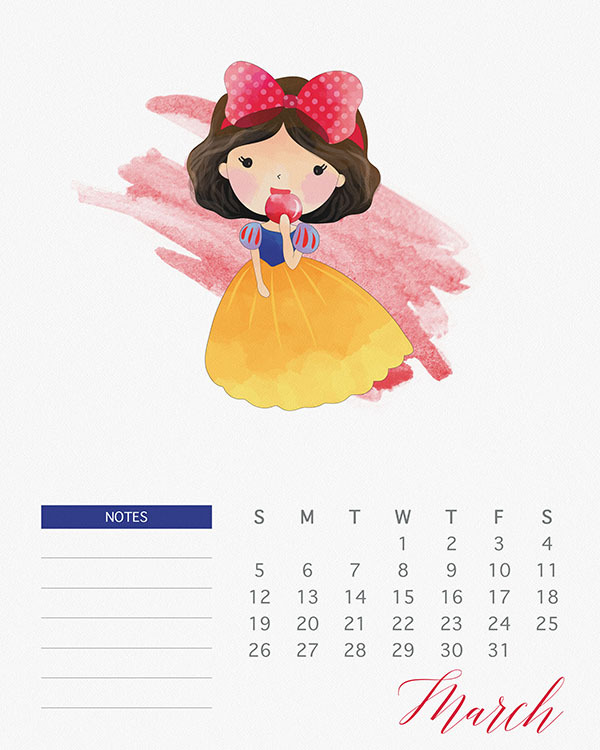 I just came back from Hong Kong Disneyland and this calendar reminds me the happy moments I have had in that magical world. Gonna print it out for myself (oops!) and spend my 12months with all the princesses. Happy New Year 2017! Thank you so much for this BEAUTIFUL calendar. My almost 4-year old princess loves having this hung in her bedroom. Happy New Year to you! Hi Andrea! These are sooooo pretty!! Thanks for sharing them 🙂 Have a great new year!! These are beautiful! I absolutely love your watercolor character calendars, but these are my personal favorite (I’m a sucker for Disney Princesses)! Thank you for sharing your beautiful work! Thank you so much! These are so pretty! 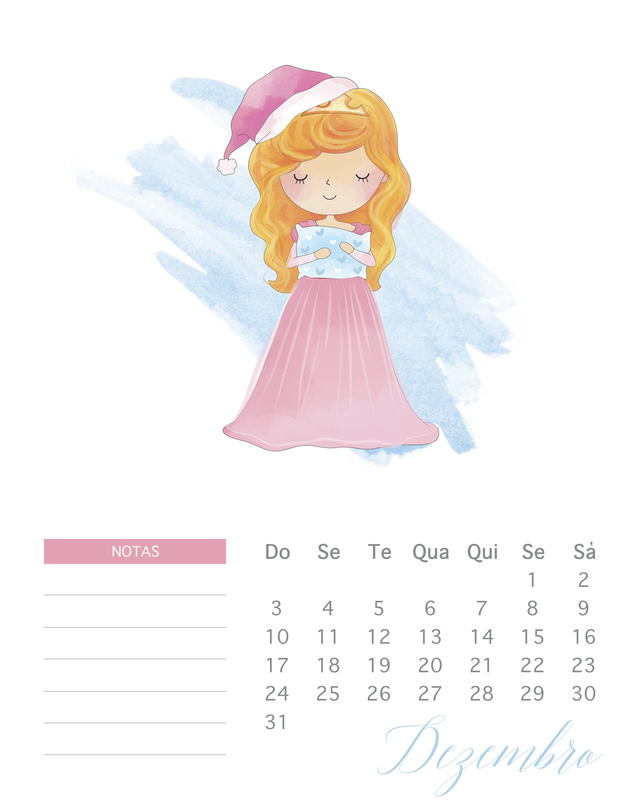 Can I get only the pictures to make my own portuguese calendar? Is for personal use only. Or if you can change to portuguese… I can help with translation. You would make at least 2 girls very happy! So pretty, will also be useful for me! Do you have them for 2018? 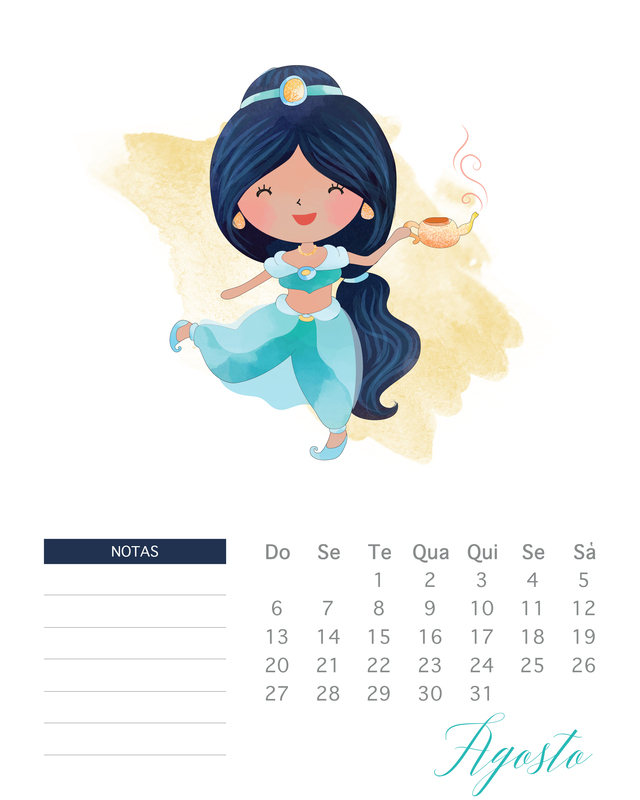 I need from September 2017 till December 2018 in portuguese! So wonderful! TFS these beautiful images. Amei o Calendário das Princesas!!! Parabéns!!! Would totally love to see a weekly version of this. I’m obsessed with calendars and planners but love to write in the things for each day. These are so wonderful and totally made my day!!! Thank you so much!!! Hi there Sneha! How are you. 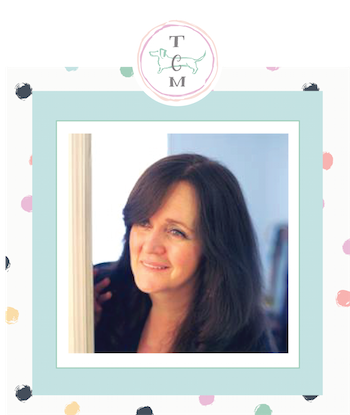 All you need to do is click on the link for each Month “save as” and print : ) If you need any other help…just let me know…you can also email to thecottagemarket@gmail.com hugs…andrea! OMG!! This is what is called gorgeous!! I LOVE them!! And I LOVE this website!!! How cute are these! Thank you! 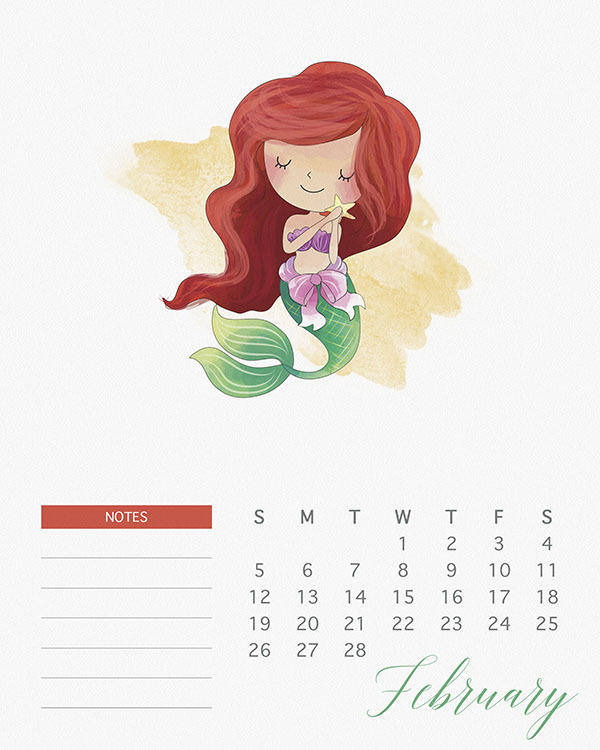 I absolutely adore this calendar! Thank you so very much for sharing this with us!! Is there any way of changing the dates to make them for the year 2018. It would be for the months of January through May? Again, thank you!! Ohhh!!! OMG These are beautiful, beautiful. Thank you!! They look simply divine, they will definitely lighten up the deadlines and errands. Thank you so much for your work and offering them graciously for free. Not sure if I ever said anything but THANK YOU for these!! I’ve been using them all year!! Hey! I’m Melissa from Chile and I loved this! I would like to ask you if you could make a calendar like this but with 2018’s dates.. Thanks!! Hi there Melissa! How are you! You can be assured we will be making a 2018 version : ) Keep an eye out we will be putting some 2018’s out and then in October or November we will be doing a new 1 every day! The Princess Calendar will return! : ) Take care…Hugs…andrea Have a GREAT ONE! Just saw this after I commented! THANK YOU!! Can’t wait for 2018’s! Can you make another one just like this for 2018! I just found this one and it is just adorable!!! Great job! Thank you for posting it! Hi there Marishka! So pleased to meet you : ) So happy you enjoyed the calendar…just so you know…soon we will be putting up a 2018 version : ) You take care now and have an amazing day! Hugs! Will you be updating this as a 2018 calendar? 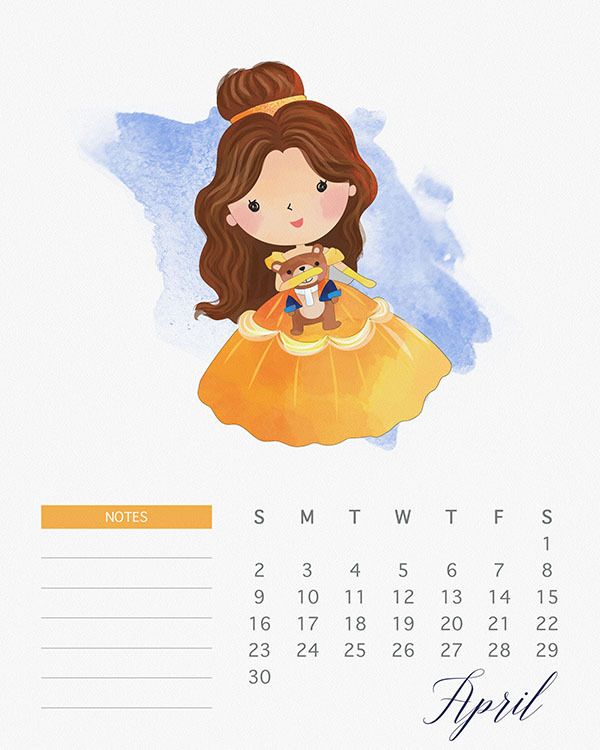 My little princess could benefit greatly by having it, as she is learning about calendars and time in school now. Hi there Barbara…NO FEAR…The Princess Calendar will be updated for 2018 and out soon!!! : ) You take care now and have an amazing day! Hugs! So sorry – I did not see the comment you made above mine. I am so looking forward to this calendar, which I will print on beautiful paper for my sweet granddaughter. I know she will love it! It is a beautiful work of art, and I thank you for sharing it! I cannot wait for the 2018 version….this is so adorable!!!! Hi there! It’s almost here!!! : ) Sending tons of hugs and wishes for a wonderful day!